The issue of violence is real and can be happening to anyone close to you. It can be your daughter, son, sister, brother or aunt, coworkers or neighbour. In some instances, some people are unaware and do not realize that they are in an abusive relationship. The warning signs are sometimes missed and even ignored. Whether it is physical, verbal, emotional or psychological abuse, the reality is, women are impacted every day and the effects can be detrimental and unfortunately last a lifetime. Abuse can negatively affect a woman’s ability to effectively parent her children and lead to poor mental health. Moreover, abuse can lead to women struggling with issues of anxiety, depression and post-traumatic stress disorder. It is important to recognize that factors such as immigration status, language barriers, culture and socio-economic status can increase the risk for someone living in an abusive situation. 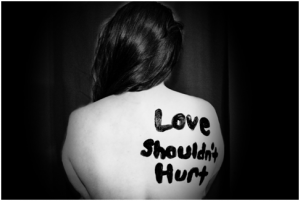 It is tremendously difficult to talk about abuse with loved ones due to shame and stigma. Through personalized safety planning, risk-assessments and professional counselling services, women can discuss their situation in a safe environment and be rest-assured that they will be supported in a non-judgmental and empathic manner. The goal is to live a life free from any type of violence. For more information about therapeutic and counselling services for you or a loved one experiencing abuse contact Bayridge Counselling Centre now at 905-319-1488.